This watch is a bargain! Measuring a classic 34mm. and thin at only 5.5.mm. in a solid 14k. 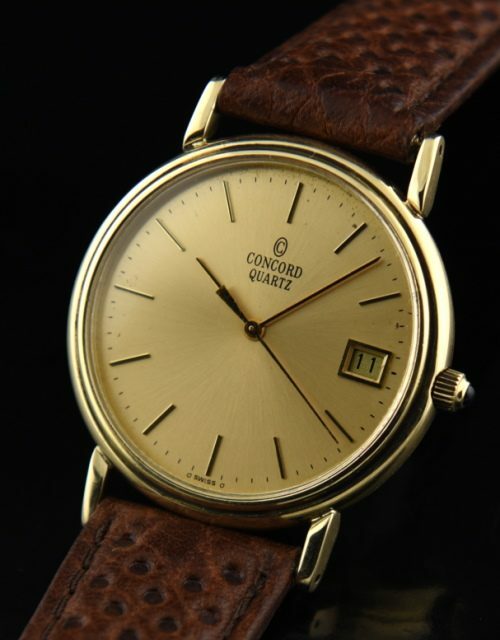 gold case; this 1990’s CONCORD quartz (battery operated) super-reliable and accurate watch looks very classic and sublime on the wrist. The gold dial is pristine. The original Cabochon tipped crown is present. The crystal is sapphire. The entire watch looks almost new. These were quite EXPENSIVE watches when sold new. 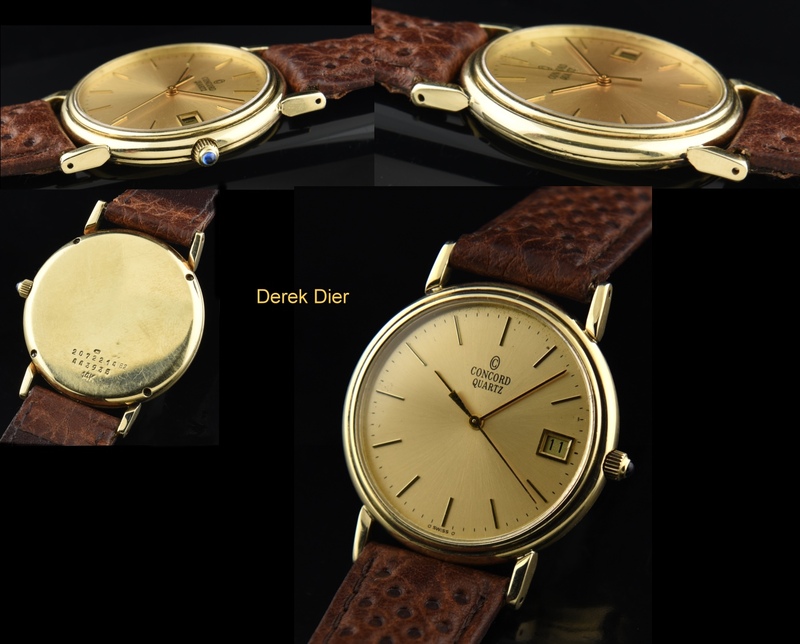 I’ve priced this fine solid gold watch to SELL FAST!